Home Shop Pouches Double Magazine Pouch - Thumb Break ZDTS9- 9mm & .40 Caliber Double Stack Steel Magazine Carrier Thumb Break. 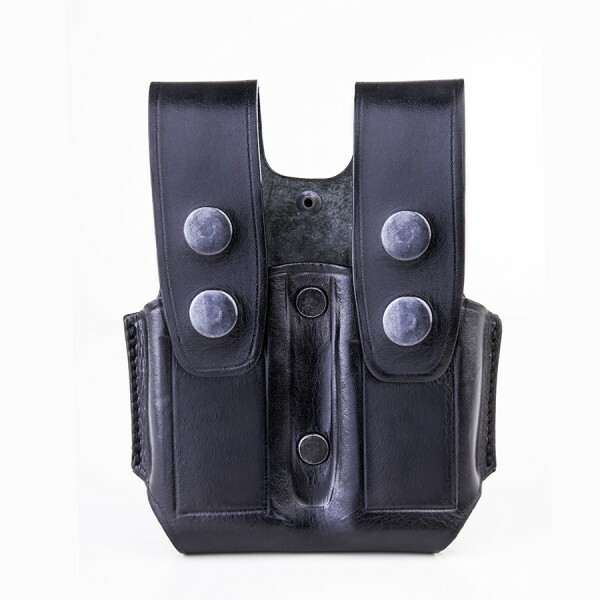 ZDTS9- 9mm & .40 Caliber Double Stack Steel Magazine Carrier Thumb Break. Weapons: Beretta, Browning, Colt, CZ - Ceska Zbrojovka, EAA, Jericho, KELTEC, Ruger, S&W - Smith & Wesson, Sig Sauer, Springfield, Taurus, Walther. 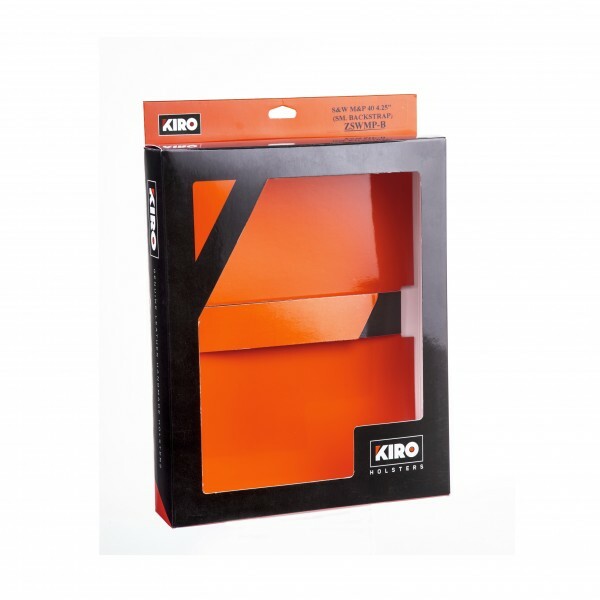 KIRO’s ZDTS9 is a Thumb Break Double Magazine Carrier, Designed to fit 9mm double stack steel magazines of dissferent pistols models. 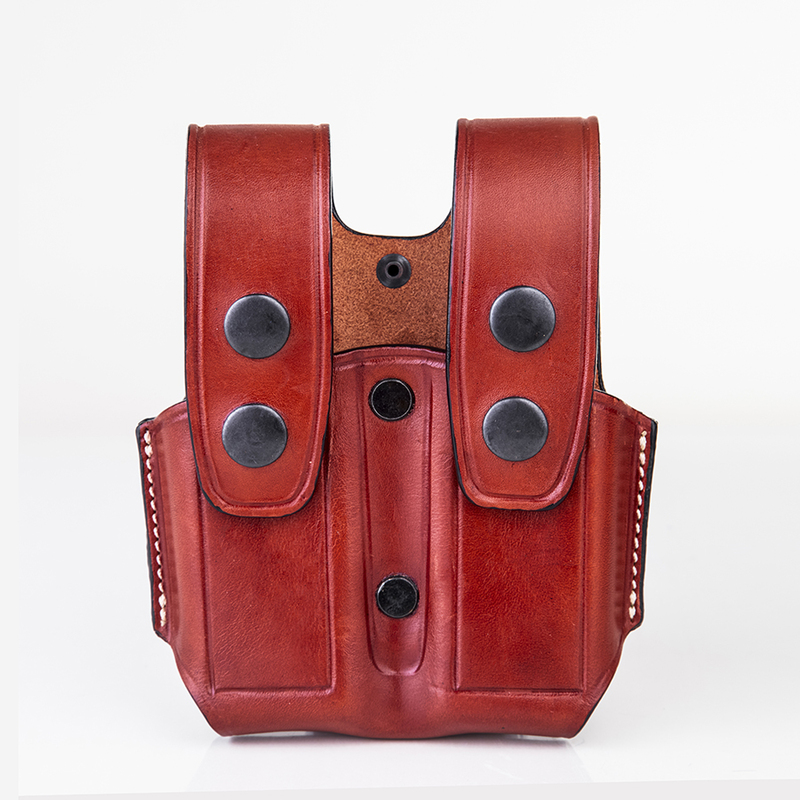 Its bullet forward design allows an efficient and quick magazine changes when needed. 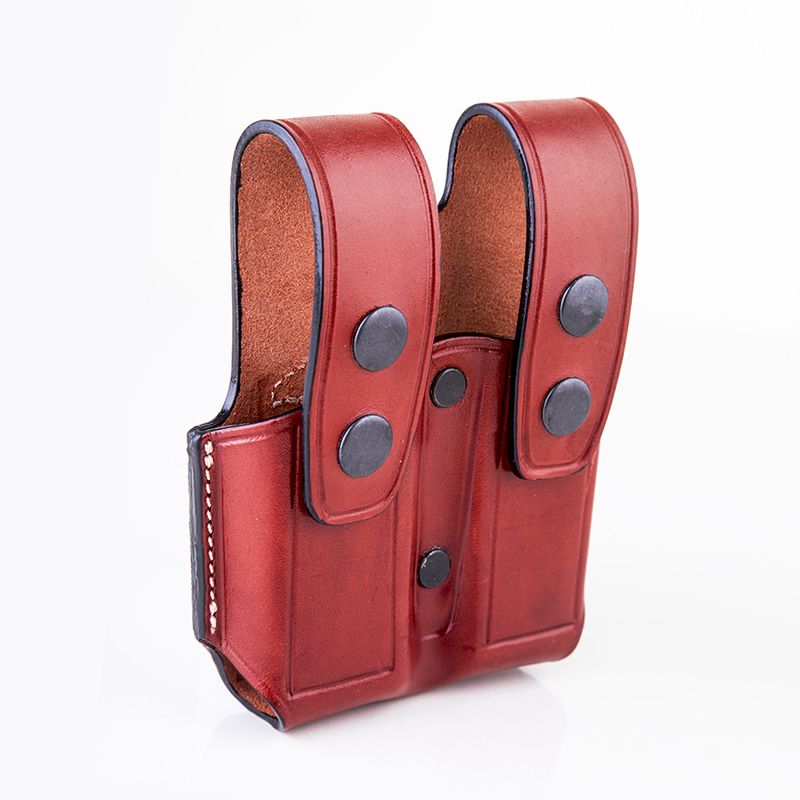 Features YKK snap for duty carry. 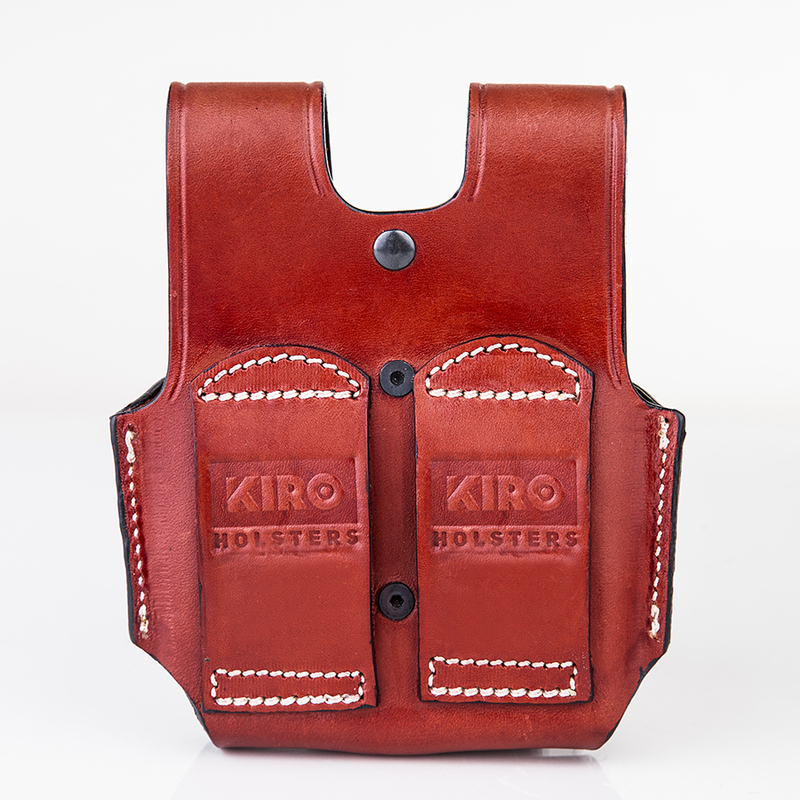 Established and designed in Israel, manufactured in Turkey, KIRO Holsters brings the best of both worlds into its line of products – The Israeli tactical experience and the Turkish high quality leather craftsmanship. This combination provides you with high quality products at affordable prices. Hand-made in Turkey, where leather artisanship has been the traditional handicraft for centuries. Premium Steer-hide with suede-lined interior. Minimum leather material thickness of 3mm. Double Stitching, Two Layers of Premium Italian Varnish & Special Silicone Edges. Works with belts up to 1.75″ (45mm). KIRO provides lifetime warranty against defects in materials and workmanship. Please check our warranty page for more information.